At its presentation to advertisers in NYC on Tuesday, the VOD service also announced a July premiere for its Joe Dirt sequel. Crackle held its first standalone presentation to advertisers in New York on Tuesday, where it announced a line-up of programming that includes a number of other firsts for the free ad-supported streaming service. In the fall, the Sony-owned service will premiere its first one-hour scripted drama The Art of More, starring Dennis Quaid and Christian Cooke. The 10-episode series, set in the cutthroat underbelly of the of premium auction houses, is being written by Gardner Stern (Las Vegas, Law and Order) and Chuck Rose, who are also executive producing with Quaid, Laurence Mark and Gary Fleder (Runaway Jury, The Shield). Crackle has also announced a July 16 premiere date for Joe Dirt 2: Beautiful Loser, starring David Spade, which it is billing as the first-ever made-for-digital sequel. Last year, Netflix announced it was partnering with The Weinstein Company on the sequel Crouching Tiger, Hidden Dragon: The Green Legend, but the film will be released day-and-date on both the streaming service and IMAX screens more than a month later, on Aug. 28. Spade wrote the script for Joe Dirt 2 and is producing the film with its director, Fred Wolf (Joe Dirt, Grown Ups). It is being made in partnership with Adam Sandler’s Happy Madison Productions (which inked a four picture deal with Netflix last fall) and Lifeboat Productions. 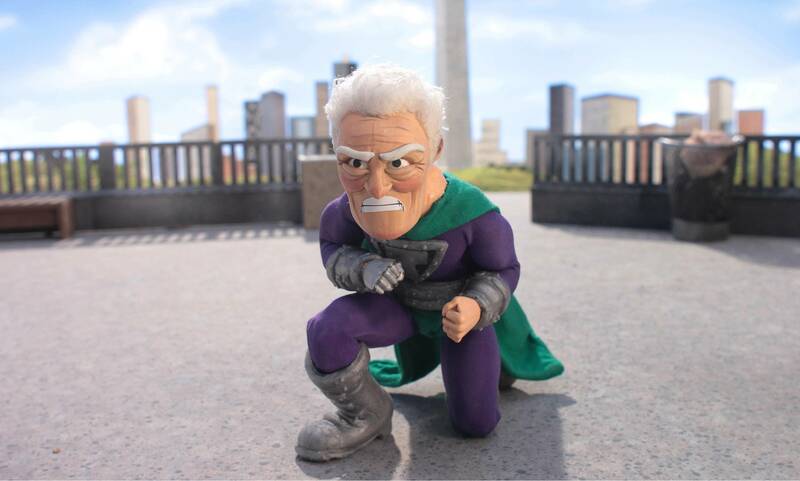 Crackle also revealed that it is teaming with Bryan Cranston (Breaking Bad) for the original 13-episode stop-motion animated series SuperMansion (pictured), set to premiere in the fall. Cranston will voice the character of Titanium Rex, who leads a down-on-their-luck group of super heroes group “The League of Freedom,” in their increasingly difficult struggle to remain relevant in today’s world. It will also feature the voices of Seth Green (Family Guy), Keegan-Michael Key (Key and Peele) and Jillian Bell (Workaholics). The show is being produced by Stoopid Buddy Stoodios (Robot Chicken), co-founded by Green, Matthew Senreich, John Harvatine IV and Eric Towner. Written by Senreich and Zeb Wells (Robot Chicken”), who are also serving as executive producers with Cranston, Green, Harvatine, Towner and James Degus. Other programming announcements included six new episodes of Jerry Seinfeld’s Comedians in Cars Getting Coffee, debuting June 16, and Dead Rising (working title), a feature-length sequel to Dead Rising: Watchtower produced by Legendary Digital, set to premiere in the spring of 2016. 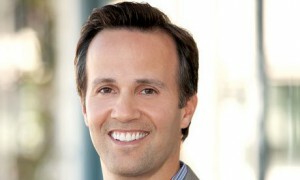 It also revealed a development slate that includes the original the mob series Capo, produced by Relativity Television and Hollywood Gang Productions, and a 10-episode fourth season of the action-thriller series Chosen, starring Milo Ventimiglia, expanded from a half hour to an a hour, which will premiere in Winter 2016. At the event, Crackle also debuted its new “Always On” feature, powered by Adobe Primetime. With “Always On,” as soon as a viewer launches the new Crackle, a scheduled program will immediately begin playing. Consumers can browse for other programs in the newly-created channel guide, while continuing to watch what’s playing. The feature will debut on the Roku platform in May, and roll out on a variety of additional platforms throughout the summer. Last year, Crackle made its presentation to advertisers in concert with other major streaming services as part of the Interactive Advertising Bureau’s (IAB) Digital Content NewFronts. At that event, it announced that it was teaming with Cranston and his production company Moon Shot Entertainment on the series Tightrope, a black and white comedy taking an irreverent modern-day character and inserting him into the story line of an old-fashioned detective series. 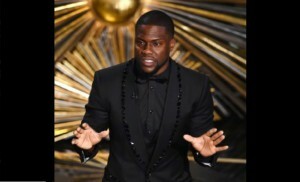 A Crackle spokesperson said the project is still in development.